Wheaties has advertised itself as the "Breakfast of Champions" for over 80 years. Surely someone must be interested in "Dinner of Guaranteed Champions." Because that slogan could apply to Steak 'n Shake, Hooters, or probably anywhere in Indianapolis. 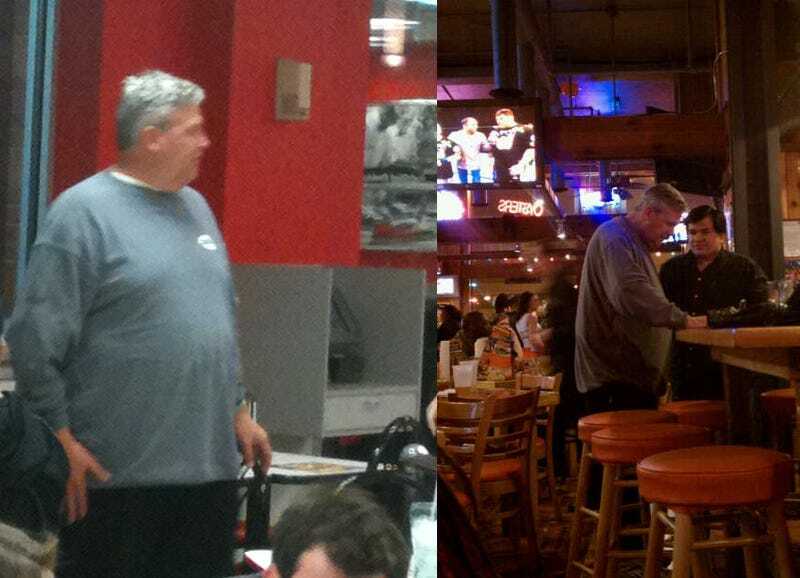 New York Jets head coach Rex Ryan, master strategist, popped into town for the NFL Combine this weekend, and was spotted by tipster Andy at Steak 'n Shake (a fat-tastic burger joint in the South and Midwest) on Friday night. On Saturday night, @Mkymousegirl spotted Rex at Hooters. I just saw Rex Ryan at Steak and Shake at 12:30am... for the second straight night. No, seriously. How does he work all of this greasy food off? After all, Rex has dropped a few pounds since his Lap-Band surgery last March. The New York Jets coach got under the bar and managed one [225-lb. rep]... though we'll call it .75 considering he got an assist from ever-exuberant Cardinals strength and conditioning coach John Lott. Per Lott's program — players must state their name and school — Ryan approached the bench saying, "Rex Ryan, Oklahoma." He added "Southwestern" under his breath. Or, like with other Lap-Band patients who eat too much, he might have just puked the food up. Either way, we're impressed.